Sometimes starting over means trying out assault and battery, especially when the object d' violence is a cheating husband caught in the act. Restraining orders aside, safety comes in numbers and having certain standards. For Jessamine chaos and capitulation are facts of life. Giving up dreams to service her husband's ambitions and enabling the same blind submission in her own daughter ends abruptly, leaving her rootless, homeless and destitute. 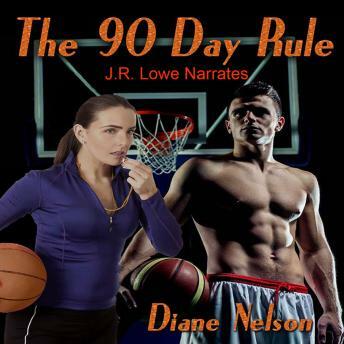 For some people, it is the kindness of strangers who make the difference but for Jes it is the unlikely alliance of the mother-in-law-from-hell, a devastatingly handsome basketball coach and a phalanx of determined team members who convince a woman of a certain age that beginning again doesn't mean giving up or giving in. The only problem is there's that pesky 90 day rule.